After 145 years, Haeger Potteries closed its East Dundee factory June 30 in what company President Lexy Haeger Estes characterized as the company’s “most difficult” decision. Estes said the disappearance of gift shops and independent furniture stores also hurt. “The reality is that we are finding it more and more difficult to compete in a market with significant wage pressure, increased regulation and generally rising costs,” she said. Estes cited the recent push for a $15 minimum wage and additional environmental rules as some of the main culprits. Even though most employees had been with Haeger for more than 20 years, the effects of government-mandated wage hikes were being felt. And even though superior lead-based glazes – which triggered special hazardous waste disposal protocols – were removed from Haeger’s production years ago, the air-quality reports and surprise inspections proving compliance remained. “China does not have these kinds of wages and laws. Overseas goods are coming in, and they are far less expensive,” Estes said. “We don’t mind a level playing field. We’ve competed there for generations. It’s when you get this other kind of competition that is completely unfair. … People don’t care about quality. They want the price. 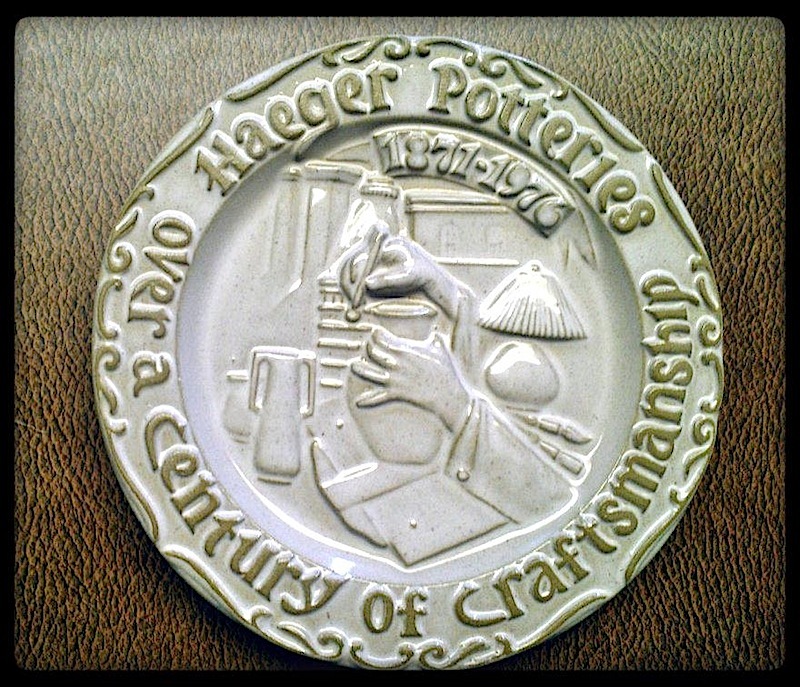 Founded in 1871, Haeger Potteries operated as a family-owned American business for four generations starting with German immigrant David H. Haeger. The 15-year-old arrived in America in 1854 with parents David C. and Maria. The family, which included five sons and a daughter, homesteaded off Spring Creek Road in Barrington Hills. And they attended the one-room Haeger School in McHenry County. Haeger School also has an adjoining cemetery, dedicated in 1854 as the David Haeger Cemetery. David C. Haeger and his wife, Maria, and many other early pioneers are buried there in Barrington Hills. Parts of the three-story, 250,000-square-foot manufacturing plant date to 1852, when Dundee Brick and Tile operated there. Estes said her great-grandfather – an entrepreneur who sold farm machinery and erected a grain elevator in Barrington – bought the plant in 1871 and established the D.H. Haeger Brick and Tile Works. 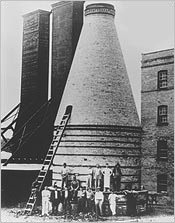 While the Great Chicago Fire proved a boon for the company, in the early 1900s, David’s son, Edmund, led the company through its transformation from making bricks to pottery and glazed artware. He built a working ceramics factory at the 1933-34 Chicago World’s Fair, then went on to hire designers and continue expanding the company. During the past few months, some 49 full-time employees and about 40 other part-timers had been busy filling final orders and managing large crowds of enthusiastic visitors to the factory store at 7 Maiden Lane. They are what remained from a workforce of 200 at the company’s height some years ago. In 1979, Haeger Estes, great-granddaughter of David Haeger, became president of the company – assuming the role from her father, Joseph. 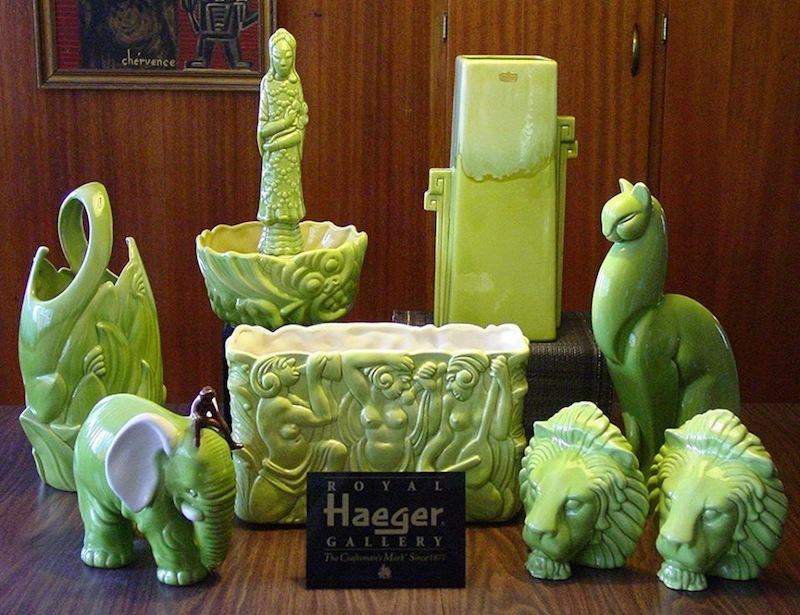 Along with her husband, the company’s chief operating officer, Craig Zachrich, the couple owns a collection of fond Haeger Potteries items. Museum pieces will be auctioned off by Chicago-based Leslie Hindman in October or November. The factory store most likely will be open through the end of July. Hours are 10 a.m. to 4 p.m. Mondays, Thursdays and Fridays; and 11 a.m. to 4 p.m. Saturday and Sunday. “For my husband and me, this was a labor of love. … I’ve been around the plant since I was 5 years old – and that was 61 years ago,” Estes said. “It was about our love for the concept of a family business, and it was about the people. It was always about the people.